A third-person perspective action game with survival features, inspired by the cult PS2 game Shadow of the Colossus. The title is a debut project of the independent American studio No Matter. Prey for the Gods takes place on a large island covered with ice. 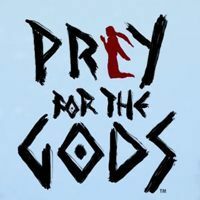 Prey for the Gods is a third-person perspective action game with survival features. It is a spiritual successor to one of cult games released on PlayStation 2, Shadow of the Colossus (2005). The title, developed for PC, PS4 and XONE, is a debut project of a small, three-person team No Matter from San Francisco. The game takes place on a large island covered with ice, somwhere at the edge of the dying world. The player assumes the role of a lone female protagonist who is sent on a dangerous mission of discovering the reason for the endless winter that almost paralyzed the lives of other people. She learns that the situation is caused by powerful gods which she once worshipped. The only way to restore the balance in the world is by facing them. The hostile environment of the island and the fact that the heroine has nothing but clothes on her back will make the task harder. Similarly as in the original title that was released on PlayStation 2, the base of the gameplay in Prey for the Gods for PC, PS4 and XONE is based on duels with powerful enemies that are many times the size of the protagonist. Fighting them requires not only creativity and perception that allows finding weak points of the colossuses, but frequently a dangerous climbing on the bodies of the monsters as well. In comparison to Shadow of the Colossus, the gameplay was enriched with modern solutions like survival features and crafting system that allows creating useful weapons from items found during the journey. The graphics of PC, PS4 and XONE’s version of the game, created by using Unity Engine 5, are mediocre. Combined with the atmosphere of the world, this means strictly limited visibility. However, the developers managed to create a specific tune for the game and unique style that is similar to its predecessor released more than a decade ago.